The line between collecting and hoarding is a fine one. Simply stated, hoarding is the inability to throw away or otherwise get rid of items that you have set aside in case you need them later. For example, my husband tends to hold on to small pieces from furniture and electronics he’s found around our home. You never know when you might use them, right? I’m sure everyone has collections of some sort in their home. Does that mean you are a hoarder? In most cases, probably not. 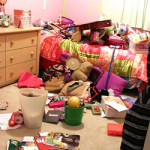 Hoarding is one of many symptoms of Obsessive Compulsive Disorder (OCD) and, according to the Mayo Clinic, may be a genetic disorder. Most compulsive hoarders don’t see a problem with their collections or their behavior. If you collect a range of things, such as plastic containers, found objects and magazines, and these collections cause you stress due to clutter, you are probably not a hoarder. Sometimes we hang onto something out of habit because we’re so used to it that we don’t even notice it’s taking up space in our home. 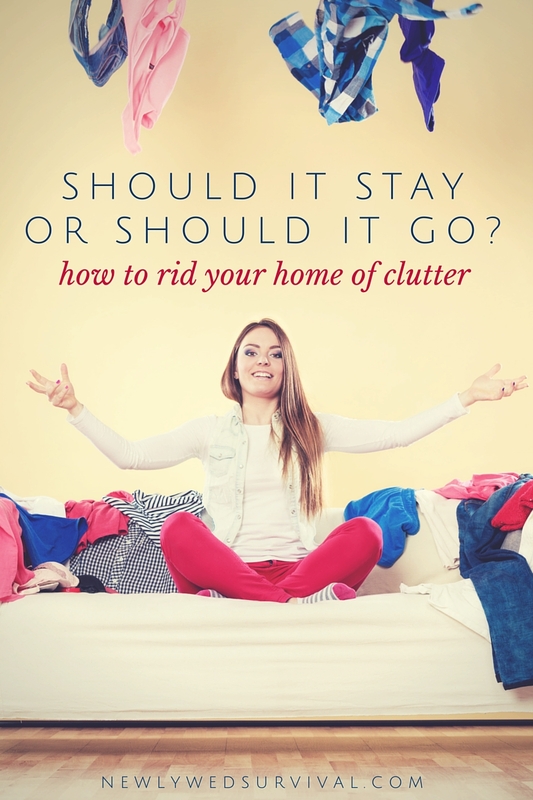 Go through your house and look at the items that are cluttering your space. Ask yourself how much you really love each item. Would donating it or selling it break your heart? If the answer is “no,” get rid of it. Value is often in the eyes of the beholder. Just because something isn’t worth money doesn’t mean it’s not valuable. Sentimental value is often the reason we keep things, but we need to know when it’s time to let go. A teddy bear from your childhood can stay. If you don’t really like teddy bears but you have a collection of bears given to you in previous relationships, let them go. Ask yourself if you will miss the item if it’s no longer in your home. Ask yourself if its sentimental value is real, or if you’re just hanging onto it out of habit. If you have a huge magazine collection gathering dust or a multitude of plastic butter and sour cream containers that spill out of your cupboard every time you open it, it’s time to pare down. How often do you look at the magazines? How many plastic containers do you really need for food storage? Ask yourself how often you actually use the items that are taking up space in your cupboards and shelves, and if the answer is “rarely,” send them to the recycle bin or donate to Goodwill. And remember: if you’re saving the magazines because you may want to revisit the articles, you can search the Internet and find almost any information about almost any topic. Do you hold on to items thinking you’ll need them later? This sentiment accounts for a great deal of clutter in our closets and drawers. Maybe you think all those old keys would make a cool necklace, or maybe the oatmeal containers crowding out the cleaning supplies under your sink would make great storage for your kid’s Hexbug collection. Whatever the reason you’re holding onto these things, ask yourself if you can replace them if the sudden urge to actually use them arises. Chances are, you can let these space-hogging items go. Once you decide to rid your home of clutter, there are several painless ways to dispose of them. Anything that can be recycled should be. If you’re up for a garage sale, create a corner in your home to store items you want to sell. Once you’ve gone through the house and made your pile, get that sale underway so you don’t start having second thoughts and begin pulling items out of the pile. If you’re not up for a sale, donate the items to Goodwill or the Salvation Army. 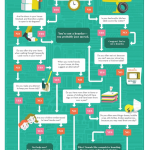 Do you need to rid your home of clutter? Are you getting to the point that you may be a hoarder? Share your thoughts in the comments. This post was first published on 1.17.2012 and updated on 12.29.2015. I need to use this process and go through every room in my house! Good luck Angela! 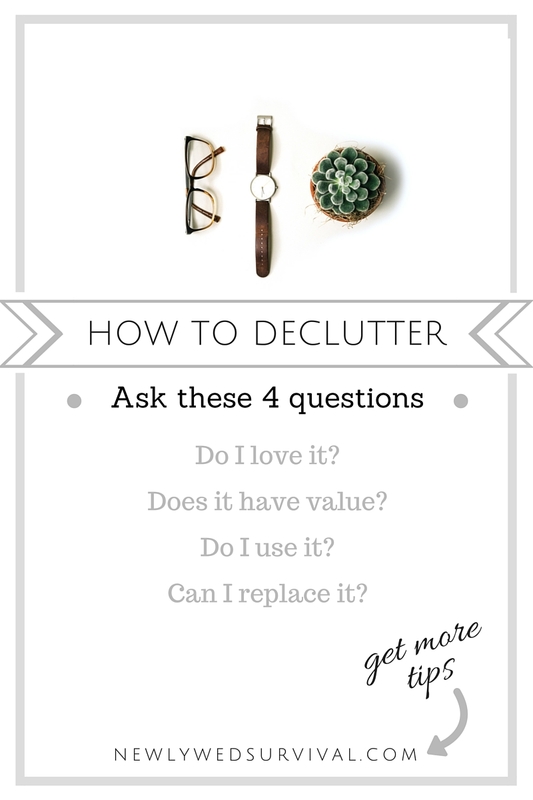 De-cluttering can be so freeing! I can totally relate to this. I am currently trying to get rid of the stuff that has been in my attic for 10 years. I also have big plans to go through my son's toys. Another way to get rid of things is to find a Facebook group in your area that has a swap shop. I list things on there and they sell pretty quick-no garage sale required! Lori, I haven't heard of these Facebook groups before...I am going to have to look into this! Thanks for sharing. I just learned from a friend tonight that expired coupons can be donated to military families. They can use them at the commissaries for up to past the expiration date. That might be a good way for you to feel good about letting go of coupons you couldn't use. I'm sorry, I left out the time period. For up to three months after expiration. Eryn, thank you so much!!! I had heard about this in the past but forgot. I am going to Google this now. Thanks again! 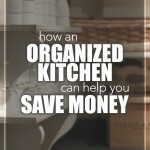 One of my goals for this year is to have less clutter in my house. I am going to do a garage sale this spring to get rid of some stuff. Great tips! I finally determined that my clutter was from "stuff" I received in the mail that I couldn't throw out because it was too good. However, I wasn't using it!! So now whenever I get a sample or freebie that I won't use right away, I take it to work to give away or share it with a friend. It's nice to share the wealth and my house is cleaner! Amee, I am hopping over now...thanks for stopping by Newlywed Survival. I try to have a one in - one out policy. I give stuff to ARC or Lupus Foundation. Sarah, I use the one in one out policy in my closet...especially since there tends to not be much room in there! Thanks for sharing. i wish my hubby was on board with letting stuff go, he wants to keep everything and it makes me crazy! Clutter, that is the story of my life. I recently went through my basement to declutter. I still have a few piles to go through. You gave some good tips that I will use for my remaining piles! My problem is... I MIGHT NEED ALL THAT STUFF! Ha! Yes, I'm one of those people. I have a hard time throwing anything out, but... I do force myself to. This is definitely helpful! I've been thinking about doing a general cleaning at home to finally get rid of the stuff we're no longer using! Oh yes... my rule is... if I haven't used it in 6 months, and it isn't seasonal, it's GONE! Great tips! We're thinking of moving this summer, and the thought of packing all the things we have is just daunting. I need to keep you tips handy now, and start going through room by room. We're not hoarders but definitely cluttered at times. Thanks for sharing these ideas. I declutter every 6 months. You share great tips on how to do it.